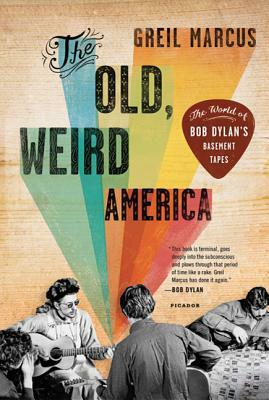 This is Greil Marcus's acclaimed book on the secret music made by Bob Dylan and the Band in 1967, which introduced a phrase that has become part of the culture: "the old, weird America." It is this country that the book maps—the "playground of God, Satan, tricksters, Puritans, confidence men, illuminati, braggarts, preachers, anonymous poets of all stripes" (Luc Sante, New York magazine). In honor of Dylan's seventieth birthday, this special edition includes a new introduction, an updated discography, and a cover featuring never-before-seen photographs of the legendary recording sessions. One of America's most original and incisive critics of pop music and pop culture, Greil Marcus is the author of Double Trouble, Dead Elvis, Lipstick Traces, and Mystery Train. He lives in Berkeley, California.